I like to take a break from the regular routine on Sundays, including my blog. It gives me a chance to clear my head, re-set priorities and appreciate the many blessings I've been given. I go to church, I reflect, and I try to find ways to inspire me to be a better mom, wife, Christian, and person. 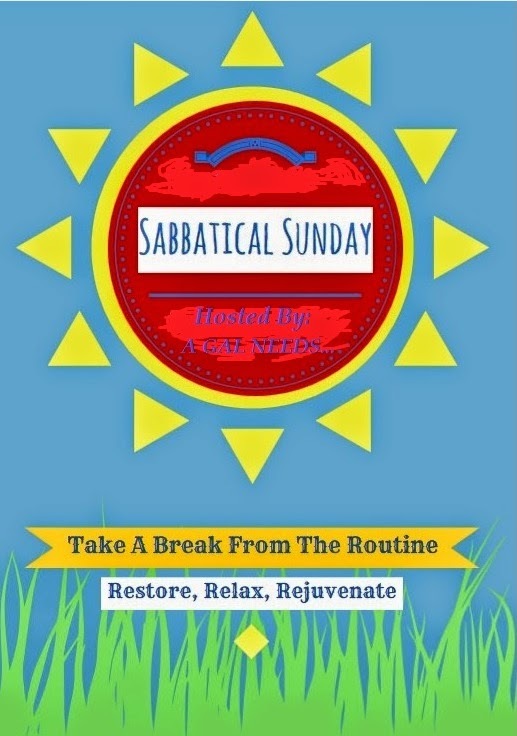 Sundays are my day to take a sabbatical! If you have a post that you'd like to share that is a little different from the ordinary weekday post, feel free to link up here! We'd love to have you! If you post a link, won't you take some time to check out the other links and follow, comment or share!